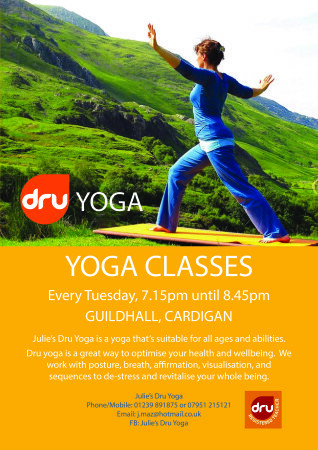 Julie’s Dru Yoga is a yoga that’s suitable for all ages and abilities. Dru Yoga is a great way to optimise your health and wellbeing. we work with posture, breath, affirmation, visualisation, and sequences to de-stress and revitalise your whole being.